Last week I announced the Divided Community Project housed at OSU’s Moritz College of Law. Today—in the second of three posts—I wanted to share the Project’s first publications. 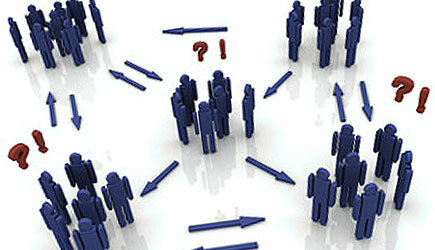 Key Considerations for Community Leaders Facing Civil Unrest: Effective Problem-Solving Strategies That Have Been Used in Other Communities, provides background information and expertise for local community leaders to assist and strengthen their effectiveness in responding through collaborative approaches to civil unrest. Key Considerations proposes six suggestions for dealing with the immediate aftermath of a divisive incident and makes two suggestions for longer-term strategies for addressing the causes of conflict. Planning in Advance of Civil Unrest, offers leaders a stepped process to plan in ways that will avert or deal constructively with these divisive community events. Such a plan can help a community deal effectively with community division. Planning in Advance suggests eight strategies whereby communities can tackle division. Both documents are licensed using the Creative Commons so that (with attribution) they may be copied, shared, adapted and tailored to fit the needs of a community or interest group. For more information about the project, don’t hesitate to contact my Moritz colleagues Nancy Rogers, Josh Stulberg and Bill Froehlich.